Let our travel tips inspire your journeys of a lifetime. A spot of golden sun. A hint of romance. A sip of a heady cocktail. A landscape to remember. Join us on an unforgettable journey through the most enchanting sundowner experiences from around the world. The sun dips low behind the far horizon. Golden rays spill their warmth over an enchanted landscape. There may be a chirp and quiet bustle of those returning home. As the shadows lengthen, take a moment to savor complete harmony, with a glass in hand. We have traveled the world in search of these awe-inspiring moments of perfection. Iconic, golden landscapes of golden grass dotted with lonely acacia trees and prolific game – the Masai Mara in Kenya offers some of the most spectacular wildlife experiences in world! 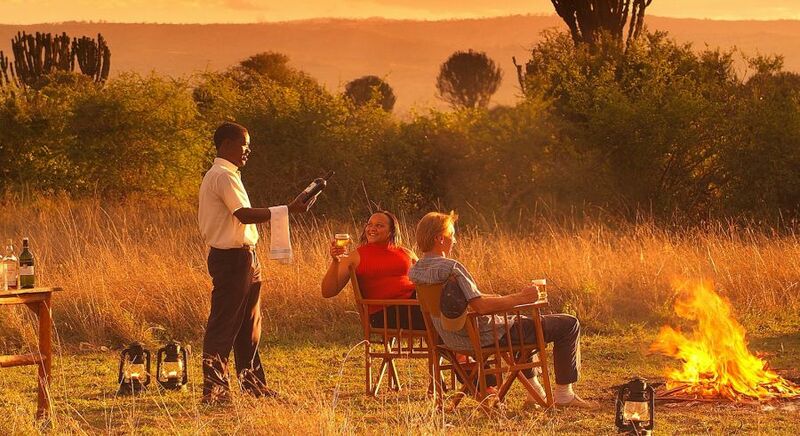 Settle down with your drink of choice by the gushing Mara River and watch the last of the wildebeest herd cross the crocodile- infested stream. Darkness begins to descend on a mystifying ancient land. This is Africa. 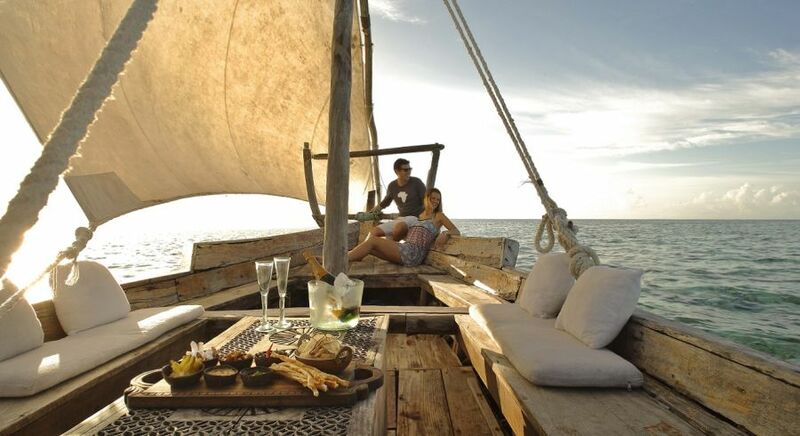 Her colossal sail fluttering in the breeze, the classic Zanzibari dhow charts the molten gold waters as the calm ocean laps gently at its sides. Feel the rush of air ruffle your hair, watch frolickers on the beach take their last dip of the day. Fishing boats return laden with the fresh catch and toot in greeting, as you take a hearty swig from your glass. Words cannot describe this magic. The Smoke that Thunders! Long before David Livingstone discovered the thundering Victoria Falls and named it in tribute to his Queen, the indigenous Kolobo tribe had paid their homage to one of the Seven Wonders of the World. 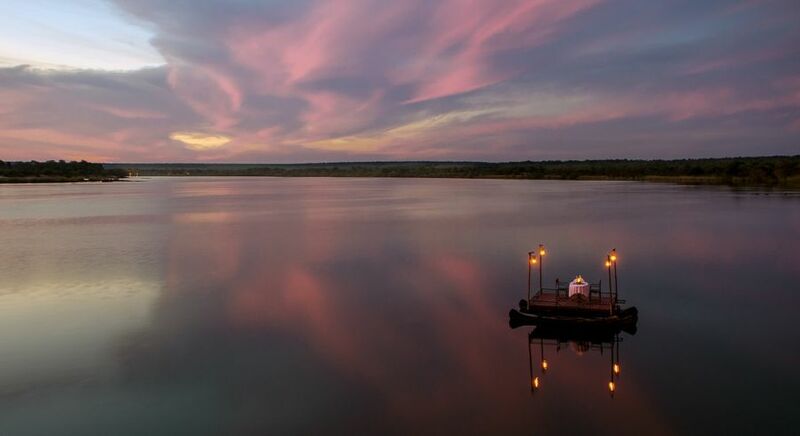 Ferocious, dramatic and awe-inspiring are only some of the words that will come to mind as you soak in panoramic views from a special vantage point or aboard a boat, your favorite sundowner spirit in hand. White sands, glittering, turquoise waters, and a colorful underwater world! 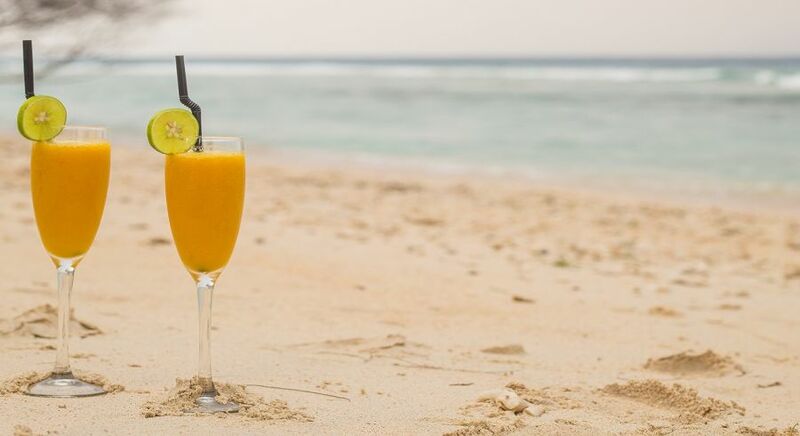 Let time pass by in this paradise with a cool cocktail in hand. The sun dips low creating purple and golden hues. The twinkling stars emerge. This is romance at its best! Gili Meno is the epitome of a dream beach vacation! Imagine cruising in a magical wonderland where towering limestone karsts challenge the purple sky, and dusk settles over a breathtaking bay. 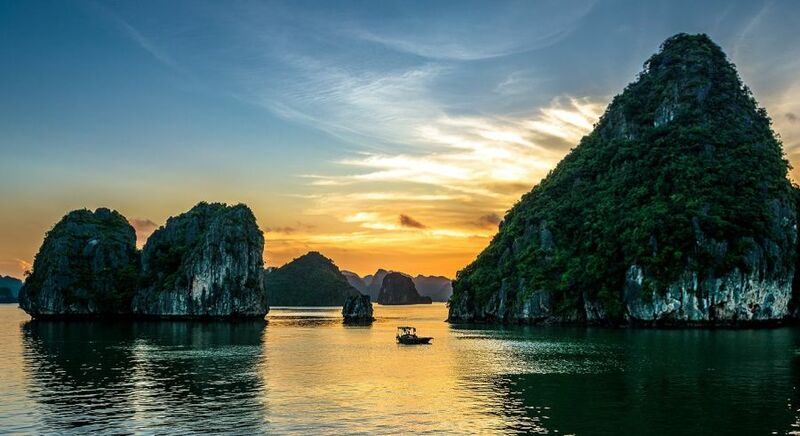 The literal meaning of Halong – the Bay of Descending Dragons – adds an aura of mystery and myth to this spectacular natural wonder, best explored aboard a traditional boat at sundown. 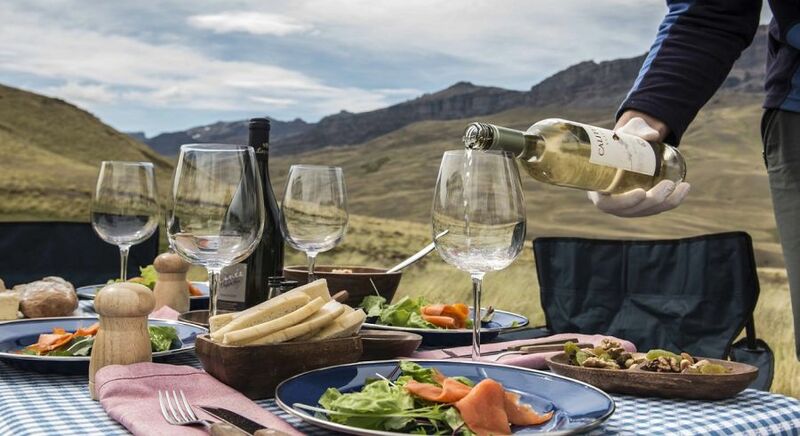 Vast, open stretches of wild, remote land framed by dramatic cliffs and a stunning shoreline – who wouldn’t want to lose themselves in Patagonia? Ride along the secluded beaches until you arrive at the mountains and glaciers of Los Glacieres National Park near El Calafate. As dusk chases away the golden light, and the sun sets behind the mountains, the incomparable feeling of perfect tranquility will take your breath away! Exploring the utterly mesmeric natural world of the Galapagos Islands aboard a luxurious catamaran easily spells a trip of lifetime. 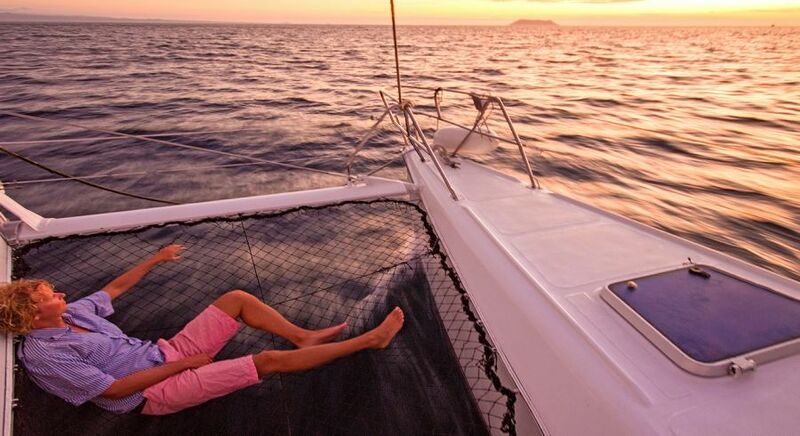 After a day of adventure spent among the colorful and curious inhabitants of the Galapagos, watch the sun set behind shimmering waves from your boat as you make the journey back home. Hear nature’s roar! The breathtaking Iguazu Falls on the border of Brazil and Argentina had remained secret to the world until it was officially ‘discovered’ in the 16th century. 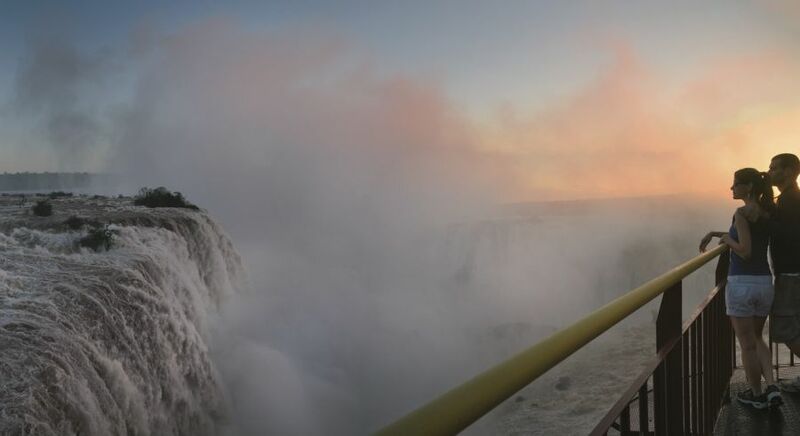 Whether it’s the panorama from the Brazilian side that you prefer, or being up close and personal at the Argentine side, picture perfect views and the sheer force and raw beauty of the thundering falls makes this a sundowner experience like no other. Get your lowdown on some of the best exotic waterfalls from around the world! An ancient land once inhabited by Incas, Tiahuanacos and Spanish colonialists, the Atacama Desert wows. 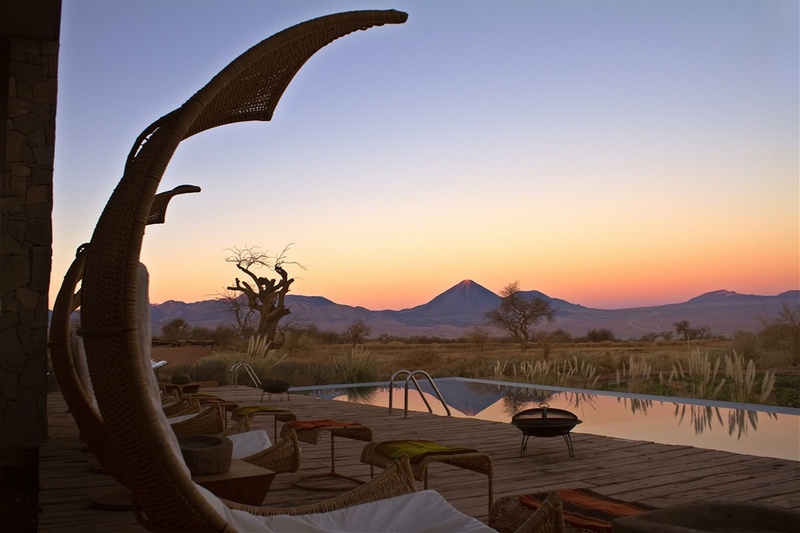 As dusk falls over the driest desert in the world and millions of twinkling stars light up the clear sky, experience the bewitching, otherworldly charm and serene tranquility that is quintessential of Atacama. 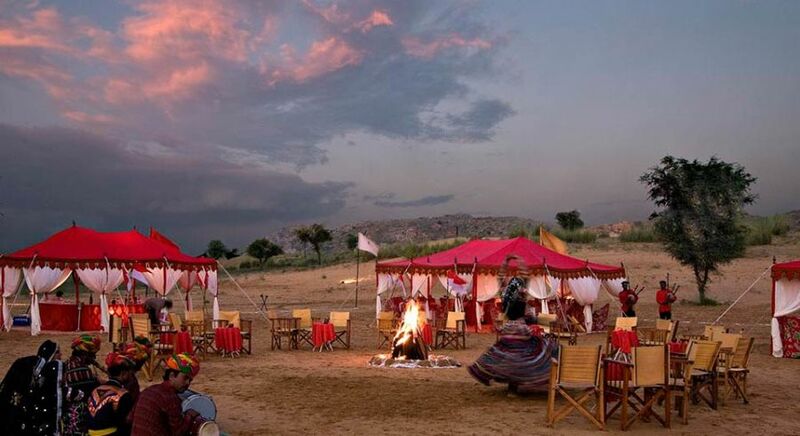 Cozily nestled amid the towering Aravalli Mountains, the magic of this authentic and regal village boasts charming havelis, ancient culture and a relaxed way of life. After an amble in the village, take your vantage point at the grand palace. 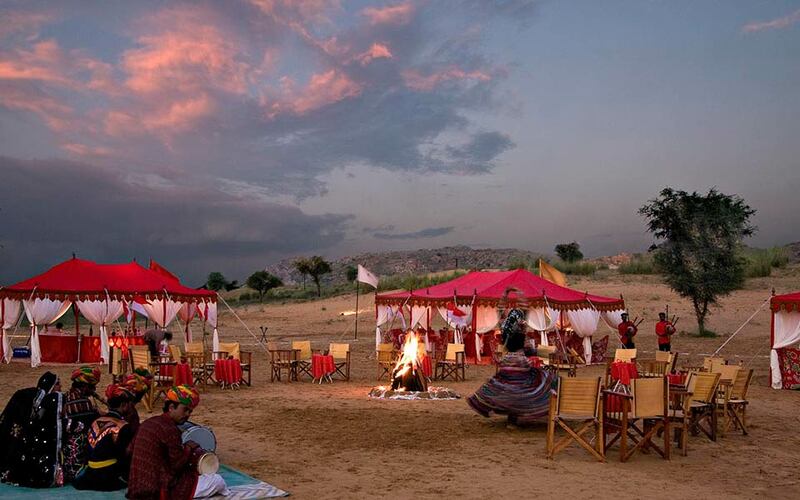 Experience a twilight that takes you back to the glorious bygone eras of Maharajahs. Experience the magic of Samode. 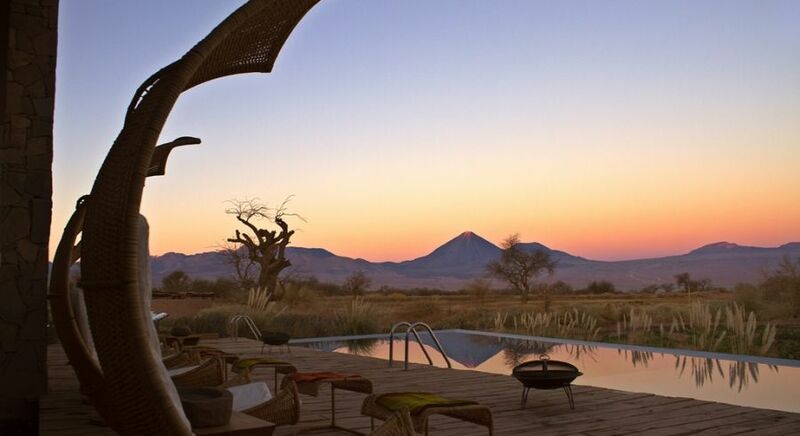 Let our travel tips on the most magical sundowner experiences around the world inspire your journeys of a lifetime.